This is MUCH MUCH more than just a repair guide. It is a complete training course on Nintendo Wii. 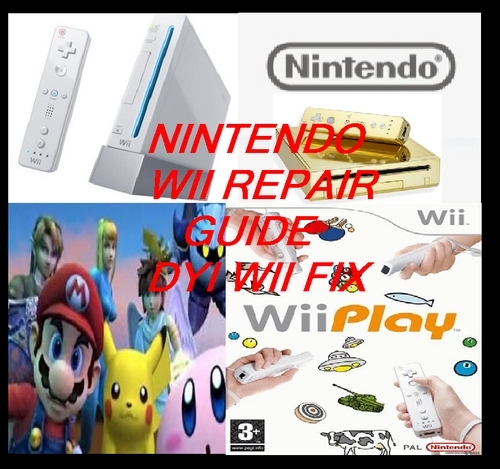 this manual are fixing their Nintendo Wii themselves. many families to get their kid's Wii working again. carefully written for easy reading. few of the most common problems that this guide covers. 11. Nintendo Wii: Message "Disc Not Recognized"
12. Nintendo Wii: Message "An Error Has Occurred"
3. Nintendo Wii: Can't get past "Language Select"
Can't I reply to a Memo? data on your Wii Remote. Format this save data?"